Goway is expanding its family travel options, recognizing that family vacations – which offer a great chance to bond – require specialized knowledge and a slightly different approach to planning. Fortunately, there are vacation spots all over the world that rise to the challenge and Goway Travel has experts in family travel that specialize in destinations worldwide. 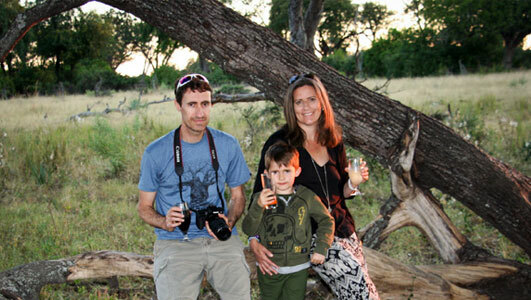 Wildlife adventures are always popular family holidays. Goway Travel’s Product Manager for Africa and the Middle East, Kirsty Perring, recently returned from a family trip to Botswana, which took in Moremi Game Reserve, Chobe National Park, and the World Heritage listed Okavango Delta. Botswana is a particularly good safari destination for families, with a stable political climate and good infrastructure for tourism. This means adults and kids alike can relax and focus on what’s important, seeing the animals and experiencing the local culture. Memorable wildlife encounters also await in Asia and Australia. An elephant experience in Thailand is a vacation with the gentle giants that a family will never forget. Immersed in the Land of Smiles, a stay at Elephant Hills in Thailand’s south is a chance to get to know these creatures in a safe, natural environment, all set against the culture and history of Thailand. Australia’s roster of exotic creatures needs no introduction, and on Goway’s Aussie Adventure, crocodiles, dolphins and the wildlife of the Great Barrier Reef are the stars of the show. Across the Tasman Sea, the Kia Ora Getaway captures New Zealand’s beauty and spirit of adventure, offering families a thrilling range of activities such as a funyak safari on the Dart River. London remains a favourite family destination, offering many of the world’s best museums (which also happen to be free), along with incredible historic sights such as the Tower of London, and modern franchise favourites such as the Harry Potter Experience. An awesome history also defines Peru, where treks through the ancient lands offer holiday memories to last a lifetime. The rich history of the Incas inspires the imaginations of adults and kids alike, and the rugged geography of the Andes offers the perfect setting for an active family hiking trip. Even if you’ve visited Peru and Machu Picchu before, sharing the experience with your family brings the country into a whole new light. For a living classroom, the Galapagos is unsurpassed. The Galapagos is a playground for wildlife and a perfect platform travellers to intermingle in the daily life of the resident Blu Footed boobies, frigate birds, and Albatross to name but a few.